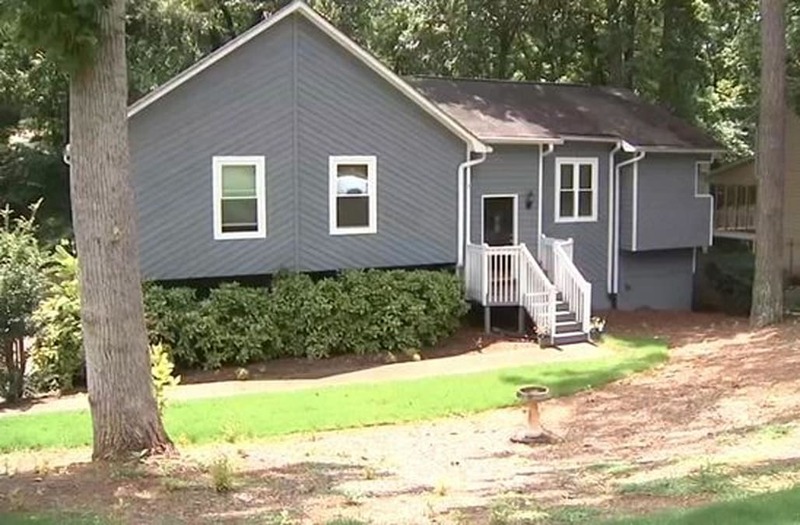 A Georgia woman said she was filled with frustration after strangers moved into a vacant house she was selling without her consent -- and now they won't leave. "I'm extremely frustrated right [now], that someone that has no legal right to be in my home is staying in my home, and I'm the one that has to prove that they don't belong there," Dena Everman said. Everman, who resided in the Cobb County property for 11 years before beginning the process of selling her home, said she was supposed to close the deal on June 26. But she wound up walking into a surprise the day before. "I went by the home on June 25 to say, 'goodbye,' to my home. When I drove up, there was a different car in the driveway and it looked like somebody was in my home," Everman said. She later found out that Tamera Pritchett was living in her East Cobb home with her fiancé and two children. Pritchett said she was also stunned by the discovery. Pritchett said the family came across the residence listed for rent on Craigslist, singed a lease via fax, and paid their rent via money order to someone they believed to be the homeowner. "Next thing we know, we're being thrown out at 11:30 at night with two children," Pritchett said. Pritchett said she went to the courthouse the next day, where deputies told her that she and her family could stay at the residence until they find another place to move. "We're not just trying to stay in your home and hold you up on your sale," Pritchett said. "But at the same time, we just spent $3,000 -- that's not something we can just pull out and immediately move somewhere else, you know." Everman said she learned last week that there is "some archaic law that says if someone sets up residence in your home, it doesn't matter how they get in there, they have rights until we evict them." And now she's upset that she may lose out on the pending sale on her home because of it.